Who deserves to be in the Olympics? 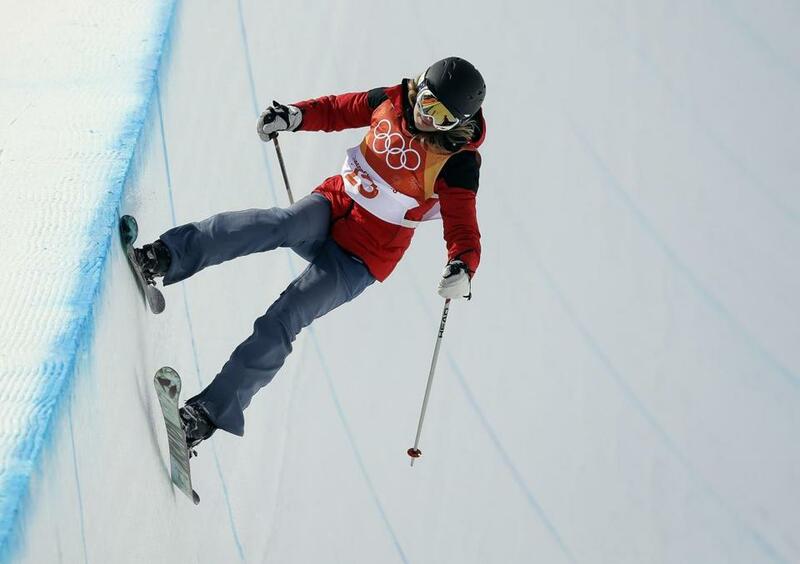 Elizabeth Marian Swaney, of Hungary, runs the course during the women&apos;s halfpipe qualifying at the Phoenix Snow Park at the 2018 Winter Olympics in PyeongChang. PYEONGCHANG, South Korea — How you feel about Elizabeth Swaney likely depends upon what you believe the Olympics should be and who should be in them. If you feel that the Games should be reserved for the planet’s best athletes then you probably think that Swaney is a country-shopper who gamed the system to collect a ticket that she didn’t deserve. If you feel that the Olympics should be open to anyone from anywhere who has the determination to find her way to the starting line then you probably think that Swaney is a persistent plugger who has every right to chase her dreams as long as she’s drug-free and meets the standard. Swaney, of course, is the American freestyle halfpipe skier who competes for Hungary and who finished dead last in this week’s qualifying round with a routine that was so elementary as to be laughable. Whether she belonged here is debatable. But what is beyond doubt is that the 33-year-old Harvard grad from Oakland played by the rules and earned her way here. Were the Winter Games limited to the best of the best, the athletes would be predominantly from Europe and North America, almost all of them white. Before her simplistic half-pipe run went viral, the 33-year-old was known as a standout Harvard student with a bright personality and a determination to succeed. 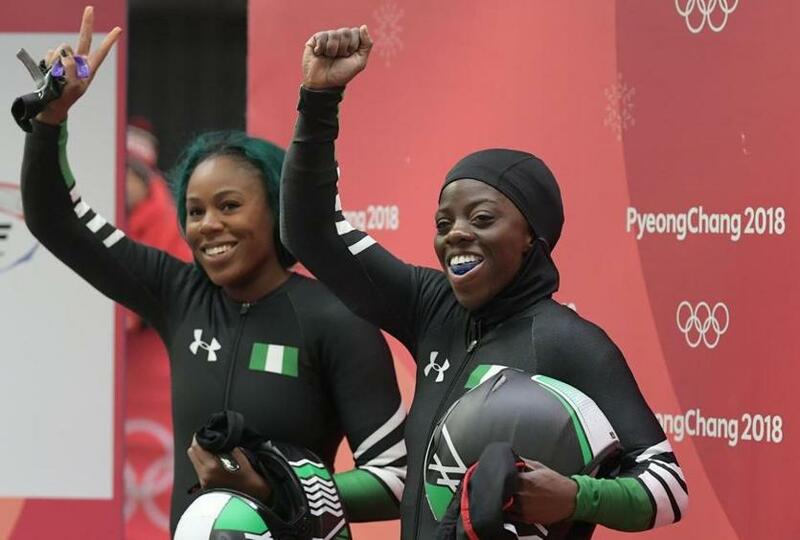 The Nigerian women’s bobsled team probably didn’t belong here, either. They finished dead last, more than seven seconds behind the German victors and nearly four seconds behind their nearest competitor. But they were celebrated as pathbreakers in a sport that never had had an African entrant. Akuoma Omeoga (left) and Seun Adigun, both born in America, represented Nigeria in the women’s bobsled. Seun Adigun was born on the North Side of Chicago, Akuoma Omeoga in St. Paul. They ran college track for Houston and Minnesota. But their parents are native Nigerians so they’re dual citizens and eligible for the Games. The South Korean team includes 19 naturalized citizens, including former Bruins farmhand Matt Dalton and Boston-born pairs skater Alex Gamelin. Four years ago Russia gave passports to American snowboarder Vic Wild and Korean short-track speedskater Victor Ahn. They won a combined five gold medals for their adopted Motherland. Swaney, who was born in the States, had competed in skeleton for Venezuela, where her mother was born. Her grandparents are Hungarians. That gave her three roads to Olympus and she understandably took the easiest one in a sport that was only added to the Olympic program four years ago and has fewer than three dozen world-class competitors. But Swaney also qualified by competing in last year’s world championships and in all five of this season’s World Cups, traveling to China and New Zealand to pick up the necessary points. Swaney may be a country-shopper but she had to go through a qualifying process to get here, unlike the Olympic “tourists” who turned up three decades ago. “Eddie The Eagle” Edwards was a British plasterer who lived at a Finnish mental hospital to save money while he was training. He finished last in both jumping events at Calgary, but caught the world’s fancy. So did the Jamaican bobsled team, which crashed in its debut. They hadn’t even seen a sled until six months before the 1988 Games and driver Dudley Stokes was surprised to find that the sled had to be steered. The Eagle and the Cool Runnings boyz appealed to the George Plimpton in those of us who’ve had five-ringed fantasies. But they also attracted subtropical thrill-seekers who had no business around a Winter Games. A Latin American skier who’d never been on a bunny hill turned up four years later in Albertville, promising officials that he’d take a week of downhill lessons in Val d’Isere. So the IOC finally adopted the “Eddie The Eagle” rule that required everyone to qualify in some fashion. The bar was low enough in some sports that a handful of World Cup points scraped together here and there were sufficient. 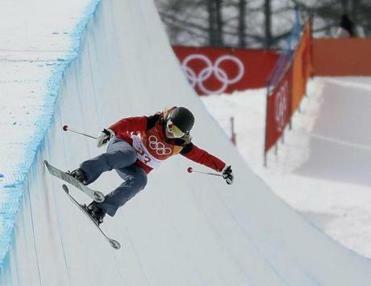 Elizabeth Swaney, an American competing for Hungary in the women’s freestyle halfpipe, accrued the necessary World Cup points to qualify for the Olympics. That’s how Argentine luger Ruben “Speedy” Gonzalez became the first Olympian to compete in four Games in different decades. But the IOC says it isn’t going to keep them out as long as they’re up to whatever mark is established.